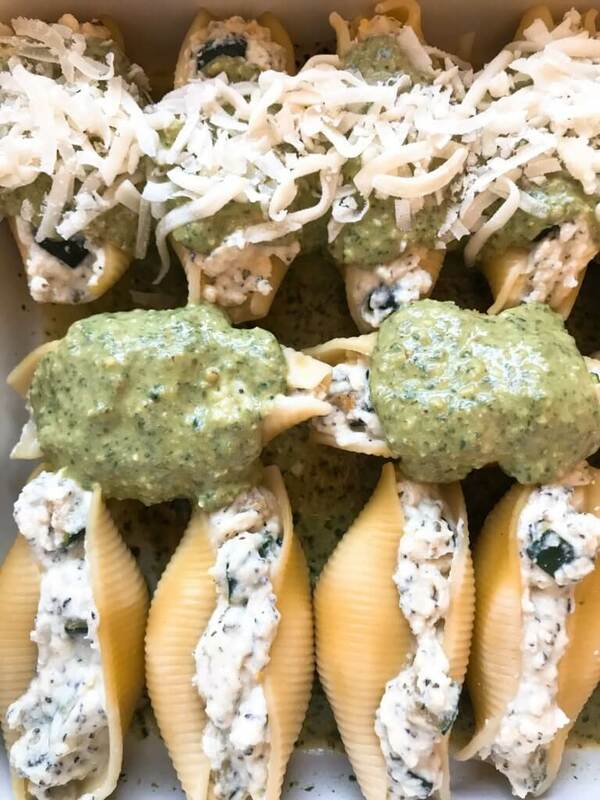 Jumbo pasta shells stuffed with Parmesan and ricotta cheese, mixed with lemon and zucchini. Served with a creamy pesto sauce. I am a sucker for Italian food. It is one of my favorite things and there are so many amazing Italian recipes that I love. Stuffed shells are something I have always enjoyed and I love to create new flavor profiles. Zucchini and lemon are perfect together and provide a lighter, fresher flavor to Italian food. 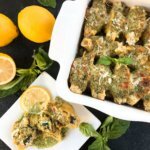 These Zucchini Lemon Stuffed Shells with Creamy Pesto Sauce are a fun twist on a classic Italian recipe. One of my favorite pastas to make when I want something a little lighter, but am still craving pasta, uses zucchini and lemon as the stars. 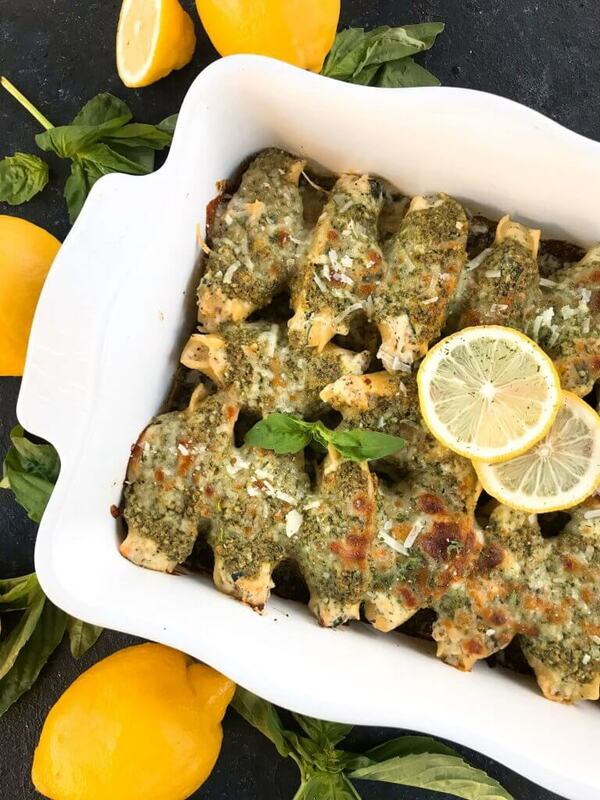 These Zucchini Lemon Stuffed Shells with Creamy Pesto Sauce were inspired by that recipe. 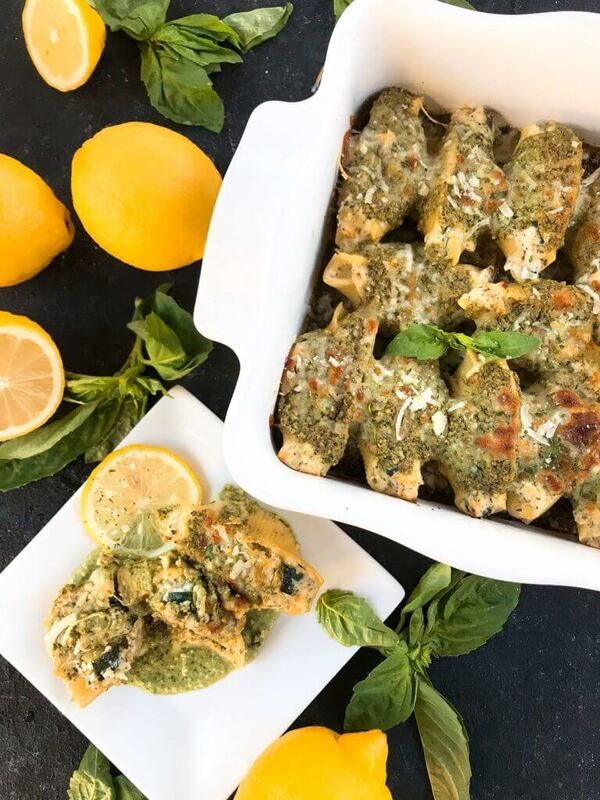 The pesto sauce is a perfect herb-focused compliment to these flavors. 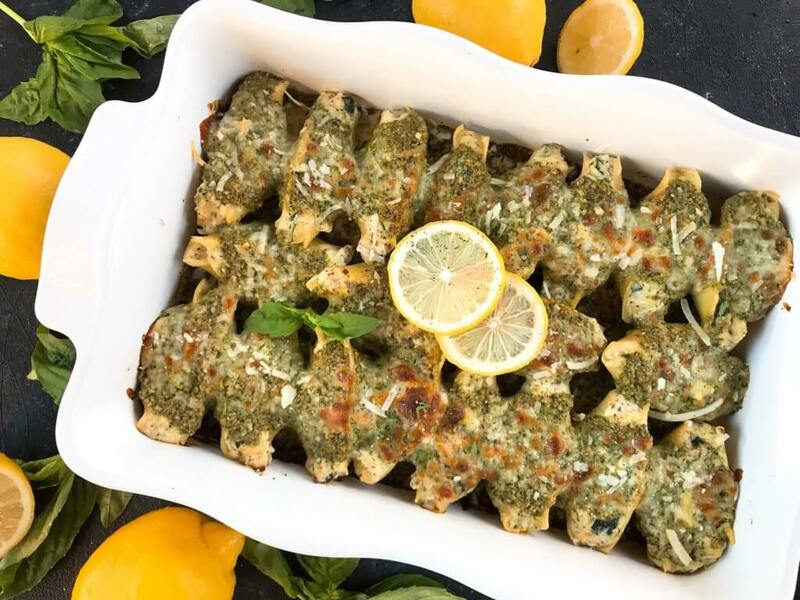 To make the Zucchini Lemon Stuffed Shells with Creamy Pesto Sauce, make your cheese mixture with zucchini and lemon, pesto sauce, and cook the shells. Thin out the pesto sauce with some heavy cream or milk as it will thicken in the oven as it cooks. Being a sauce lover, I also like to leave some extra sauce for topping off when serving. Stuff each pasta shell and place in a baking dish. Cover the shells with the creamy pesto sauce, some Mozzarella cheese, and a little Parmesan. Bake off until heated through and the top cheese is melted and golden, approximately 20 minutes. 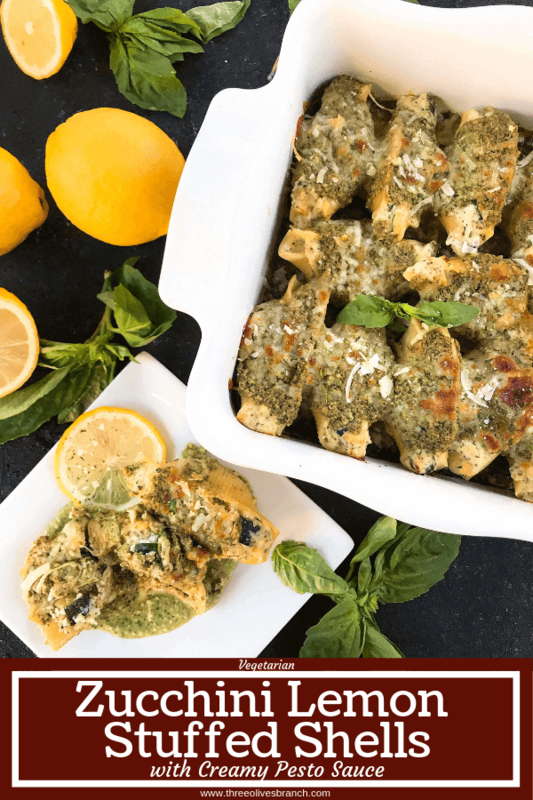 These Zucchini Lemon Stuffed Shells with Creamy Pesto Sauce can easily be made in advance and frozen for a quick and easy dinner. 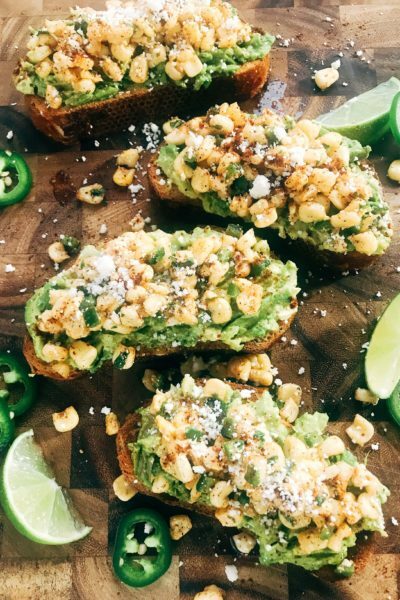 They would also be great with a red sauce like our Simple Marinara Sauce. Meat eaters? 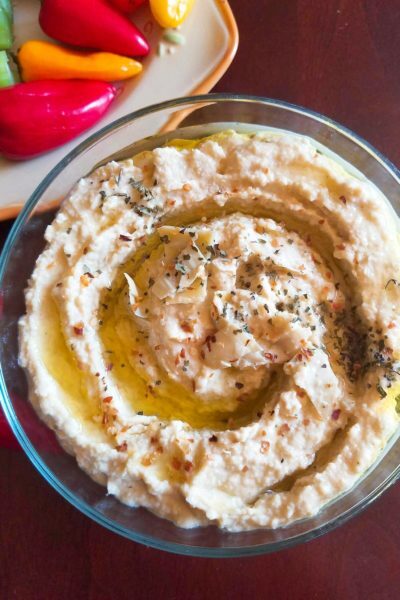 Easily mix in some shredded chicken or sausage to the cheese. 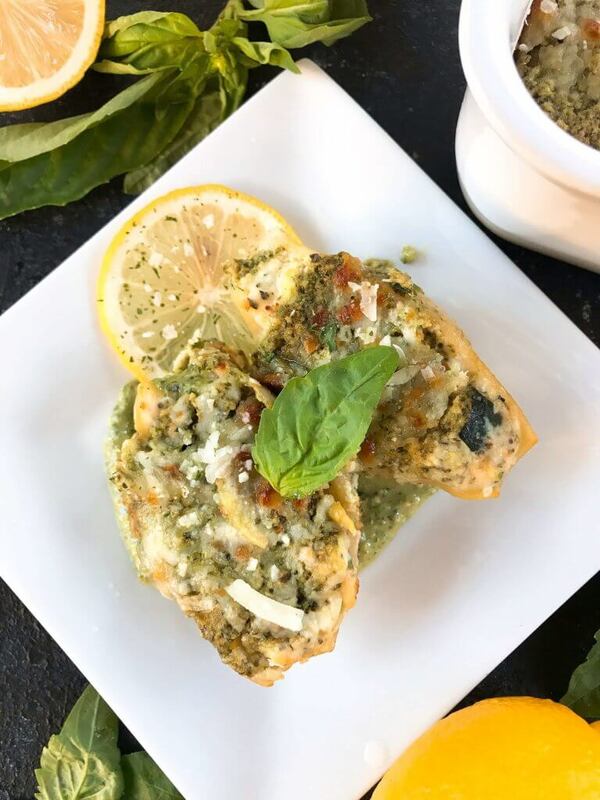 Bright and fresh flavors of lemon, zucchini, and pesto in a stuffed shell recipe. 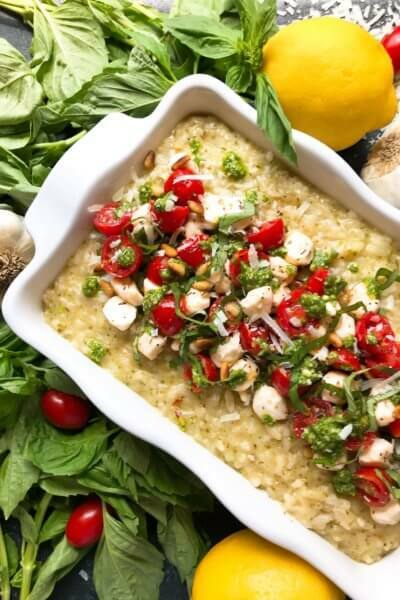 In a small bowl, combine the pesto sauce with 1/3 cup of heavy cream. 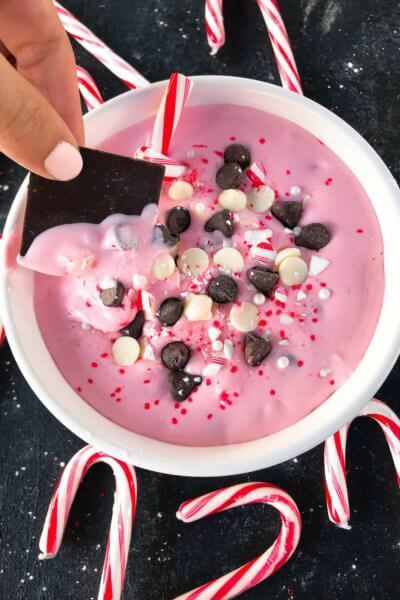 Add additional cream or water until you get a sauce that is your desired creaminess and consistency, keeping in mind that the sauce will thicken as it bakes in the oven. (You could also substitute cream and water for milk). While the pasta is cooking, combine all of the cheese mixture ingredients and set aside. (Zest the lemon into the cheese mixture, then juice. For a heavy lemon flavor, use two full lemons). Also while the pasta is cooking, heat a large non stick skillet with 2 Tablespoons of oil. When hot, add the diced zucchini and a sprinkle of salt and pepper. Cook until the zucchini is tender, approximately 5-7 minutes. Set aside. When everything is ready, combine the zucchini in the cheese mixture and mix. Place a little of your sauce in the bottom of your baking dish to cover. Using a spoon, scoop approximately 1.5-2 Tablespoons of the cheese mixture into each shell. Place the shell in the baking dish, open side up. Cover the shells with the creamy pesto sauce, 3/4 cup mozzarella, and 1/4 cup Parmesan cheese. Add more or less sauce and cheese as desired. Bake at 375 F until the cheese is melted and starting to brown on top, approximately 20 minutes. The exact number of shells will vary based on how much you stuff them. You can use any pesto sauce, but I love my homemade pesto recipe which you can find here. 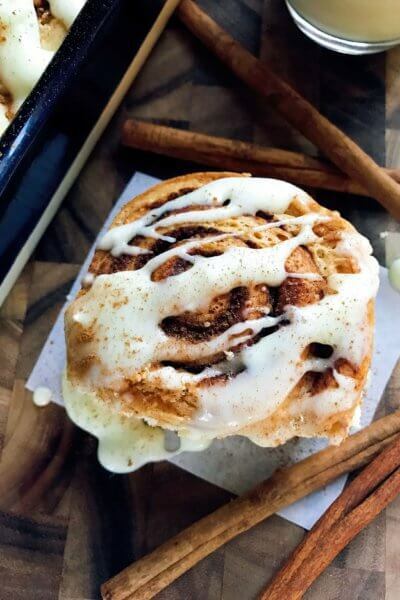 One batch is the perfect amount for this recipe.